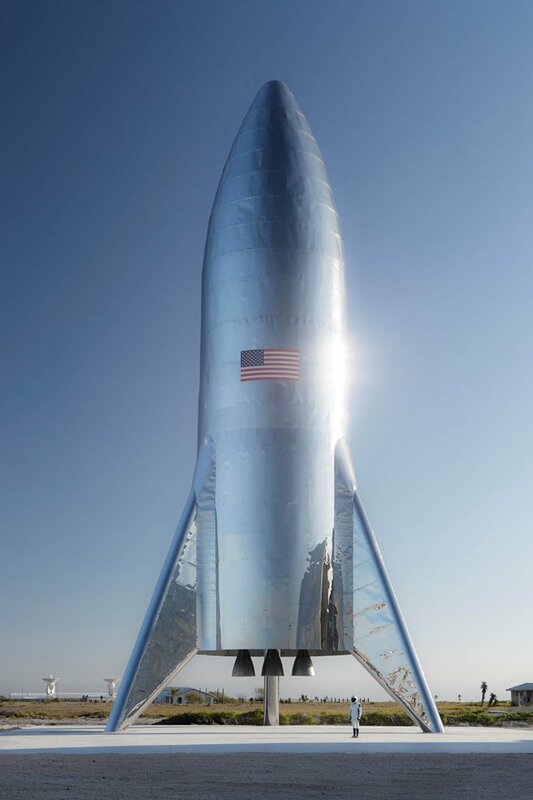 What's Going On With SpaceX's Stainless Steel Starship? Posté le: Ven 11 Jan 2019 02:27 Sujet du message: SPACEX STARSHIP HOPPER COMPLETELY ASSEMBLED! 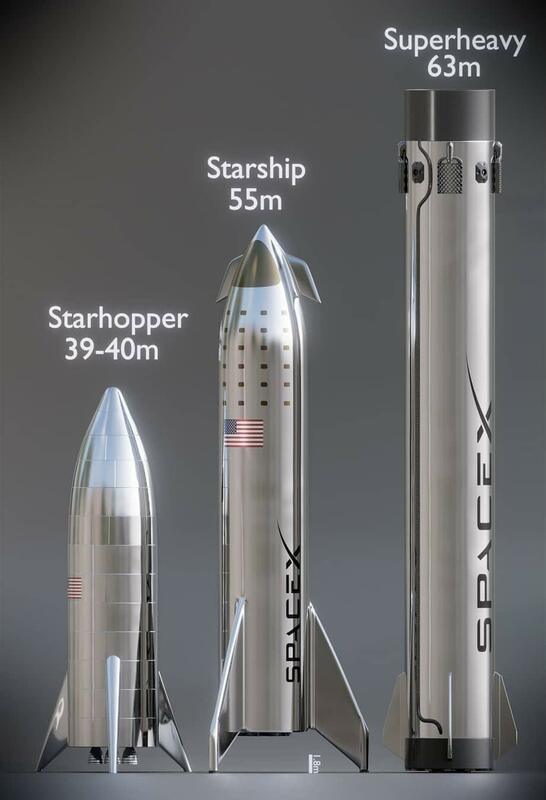 SPACEX STARSHIP HOPPER COMPLETELY ASSEMBLED! 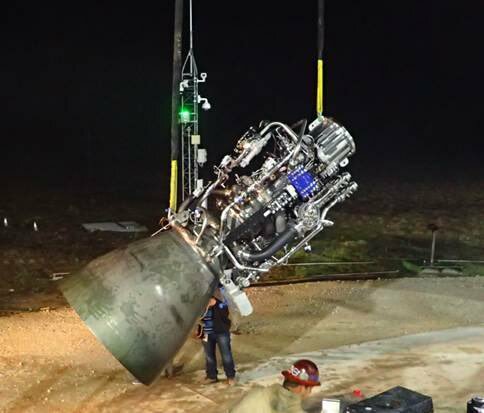 Starship test flight rocket just finished assembly at the @SpaceX Texas launch site. This is an actual picture, not a rendering. 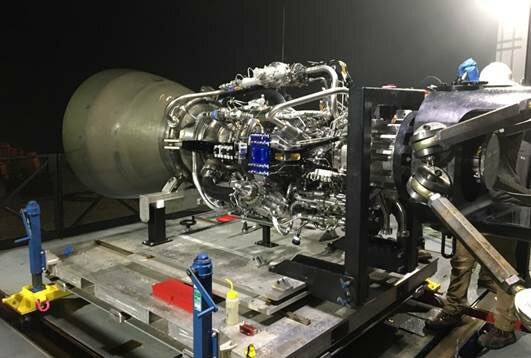 This is for suborbital VTOL tests. Orbital version is taller, has thicker skins (won’t wrinkle) & a smoothly curving nose section. vous pouvez telecharger la Serie sur torrent,etc. When Falcon Heavy lifted off, it became the most powerful operational rocket in the world by a factor of two. With the ability to lift into orbit nearly 64 metric tons (141,000 lb)---a mass greater than a 737 jetliner loaded with passengers, crew, luggage and fuel--Falcon Heavy can lift more than twice the payload of the next closest operational vehicle, the Delta IV Heavy, at one-third the cost. Following liftoff, the two side boosters separated from the center core and returned to landing site for future reuse. Falcon Heavy put a Tesla Roadster and its passenger, Starman, into orbit around the sun. At max velocity Starman and the Roadster will travel 11 km/s (7mi/s) and travel 400 million km (250 million mi) from Earth. Inside SpaceX, billionaire Elon Musk's space company. Take a look behind the scenes of the Falcon Heavy launch with all new never seen before footage. featuring Elon Musk, called Inside SpaceX 2018.
le 21.02.2019: la derniere mission de l'entreprise SpaceX et l'atterrissage/amerrissage de leur fusée Falcon9 Block5 sur la plateforme flottante "Of Course I Still Love You”: launch of the Nusantara Satu satellite from Space Launch Complex 40 (SLC-40) at Cape Canaveral Air Force Station, Florida. SpaceX is targeting Thursday, February 21 for launch of the Nusantara Satu satellite from Space Launch Complex 40 (SLC-40) at Cape Canaveral Air Force Station, Florida. The 32-minute launch window opens at 8:45 p.m. EST, or 1:45 UTC on February 22. Falcon 9 will also deliver the Beresheet lunar spacecraft and Air Force Research Laboratory (AFRL) S5 spacecraft to orbit. Deployments will occur at approximately 33 and 44 minutes after liftoff. A 32-minute backup launch window opens on Friday, February 22 at 8:41 p.m. EST, or 1:41 UTC on February 23. Falcon 9’s first stage for the Nusantara Satu mission previously supported the Iridium-7 mission in July 2018 and the SAOCOM 1A mission in October 2018. Following stage separation, SpaceX will attempt to land Falcon 9’s first stage on the “Of Course I Still Love You” droneship, which will be stationed in the Atlantic Ocean. Prochaine Mission de SpaceX: Mission de preparation pour le transport d'astronautes de la NASA vers la Station spatiale internationale(ISS). SpaceX is targeting Saturday, March 2 for launch of Crew Dragon’s first demonstration mission from Launch Complex 39A (LC-39A) at NASA’s Kennedy Space Center in Florida. This test flight without crew on board the spacecraft is intended to demonstrate SpaceX’s capabilities to safely and reliably fly astronauts to and from the International Space Station as part of NASA’s Commercial Crew Program. The instantaneous launch window opens at 2:49 a.m. EST, or 7:49 UTC, and a backup instantaneous launch opportunity is available on Tuesday, March 5 at 1:38 a.m. EST, or 6:38 UTC. Following stage separation, SpaceX will attempt to land Falcon 9’s first stage on the “Of Course I Still Love You” droneship, which will be stationed in the Atlantic Ocean. Nobody panic, but a Raptor has been spotted in Boca Chica! ‏Transpiration cooling will be added wherever we see erosion of the shield. Starship needs to be ready to fly again immediately after landing. Zero refurbishment. On the latest Watch this Space, NASA Administrator Jim Bridenstine chats with SpaceX CEO and Chief Designer Elon Musk during a tour of Launch Complex 39A just before the Demo-1 launch at the Kennedy Space Center in Florida. The historic Demo-1 mission launched at 2:49 a.m. EDT on Saturday, March 2 and was the first launch of a commercially built and operated American spacecraft and space system designed for humans as part of NASA's Commercial Crew Program. 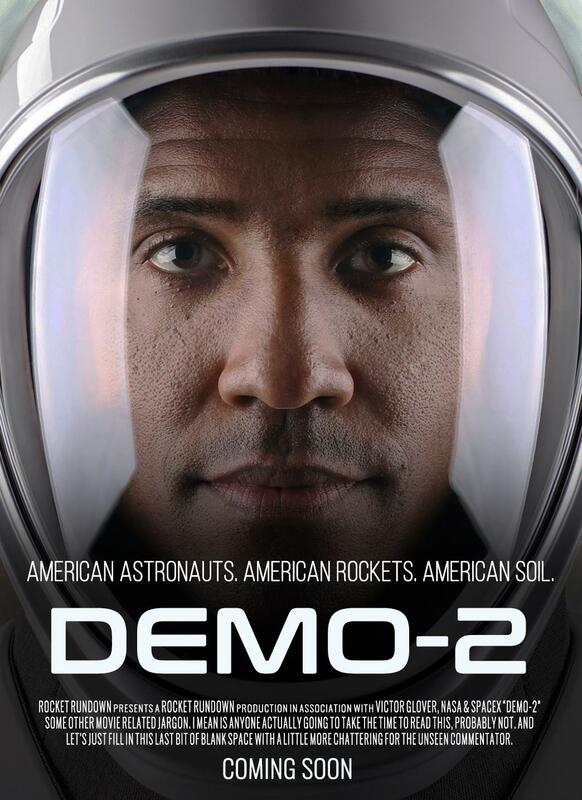 Learn more about the Commercial Crew program: https://blogs.nasa.gov/commercialcrew/. Elon Musk: Starhopper just lifted off & hit tether limits! Elon:Static fire data looks good so far. This is first launch of Falcon Heavy Block 5, so we’re being extra cautious. Launch date might move. Derniere Mission de SpaceX 11 avril 2019: Arabsat-6A Mission. Close Up Footage of Falcon Heavy Arabsat-6A!